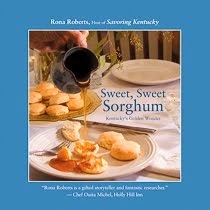 Sweet, Sweet Sorghum: Kentucky's Golden Wonder: Sorghum Season! In spite of drought and extreme heat, M81E sorghum cane looked fine on Congleton Farm in Woodford County, Kentucky last week. Country Rock Sorghum partners Curtis Congleton and Randal Rock have cooked a batch of Sugar Drip and one of KN Morris so far in the 2012 season. 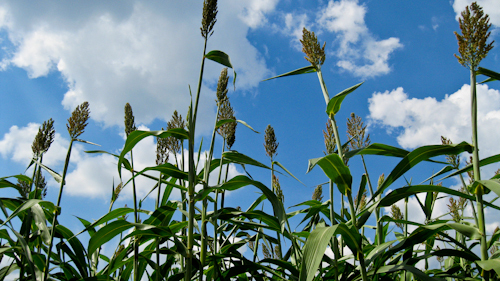 We are grateful for sorghum cane's amazing drought tolerance, one of its many earth-friendly qualities. 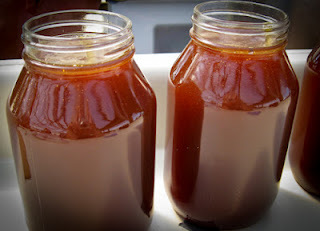 Grateful, too, for the science, artistry, and near wizardry of cultivating and pressing the cane, preparing it for cooking, and then cooking it to perfection one more time. The larger world is learning about sweet sorghum syrup. 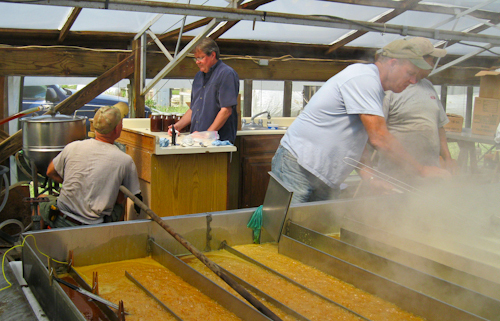 That's good for the world, good for Kentucky growers and producers, good for those of us who eat this nutritious wonder food, and good for the communities where sorghum is produced.